The future of medicine is bright. This year brought several first in class technologies over the finish line. The underpinning of these radical medical developments is the understanding of how human genes can be modified to cure diseases and save lives. The technology which captured the most attention this year is CAR-T therapy. A CAR-T therapy consists of the infusion of engineered T cells that express a Chimeric Antigen Receptor (CAR) on their cell membrane that targets other blood cells that may be malignant. To deliver the therapy, white blood cells are removed from the body, genetically altered with the cancer targeting CAR, and replaced back into the bloodstream. Those modified white blood cells flow through the body chewing up B cells (and cancer within that B cell population) with an efficiency and safety profile unprecedented in previous treatments. These results are partially thanks to a genetic delivery “vector” called Lentivirus. CAR-T may have been one of the first gene therapies to win the approval of the FDA, but there will soon be a lot more. Today there are more than 800 ongoing gene therapy clinical trials. Shortly after Kymriah (the first CAR-T) won approval, Yescarta (another CAR-T) followed it. Those approvals will be remembered as some of the drips before the dam broke releasing a plethora of new, highly-effective gene and cell therapies. Researchers have been queuing up gene therapy opportunities for 46 years. Over those years they have identified > 6000 inherited disorders. Recent advances in gene and cell therapy give the medical and research community hope for treatments of many of those conditions, but this new form of drug development can have impact well beyond potential cures for those inherited diseases. Gene therapy will someday be able to address the majority of diseases. For example, American Gene Technologies (AGT) is working on a cure for one inherited disorder phenylketonuria (PKU). PKU is a genetic condition that has devastating consequences for children born with this disorder, and AGT is preparing to progress a cure to the clinic in 2019. However, AGT is also using gene and cell therapy technologies far beyond inherited disorders to develop promising treatments for solid tumors (cancers), as well as a cure for HIV. That may seem like a broad portfolio for an emerging company, but there are several unifying factors among these interventions. Primarily, a common, yet flexible gene delivery platform allows AGT researchers to reach across many diseases without reinventing the company for each disease. AGT has been able to use a very similar lentivirus for all three cures. That is the power and promise of gene therapy. 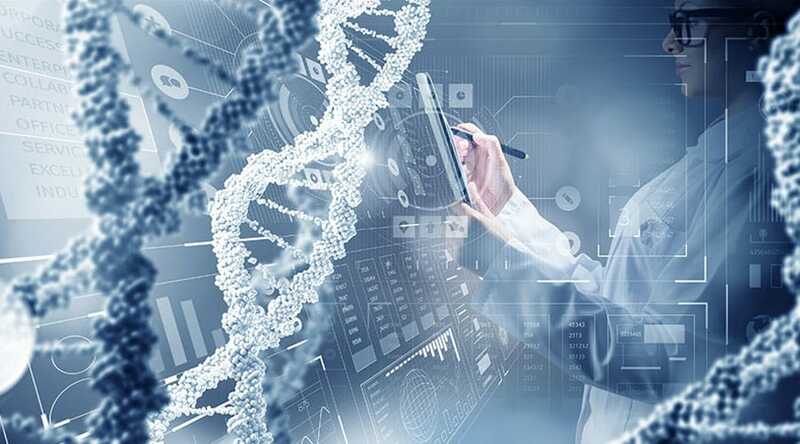 In the past, researchers started from symptoms to build from scratch a treatment for a disease.Today we have a treasure trove of genetic data which correlates to the underlying causes of disease. More recently, researchers have fine-tuned the packages to deliver these relevant genetic changes. Together these tools will shorten the timeline to develop therapeutics and cures. One of the most important tools at a gene therapy team’s disposal is the large-scale genetic data generated by researchers--not just human data, but genetic sequence data of diseases like HIV and Flu. This information has created a treasure trove of therapeutic targets for gene therapy companies to utilize. In the case of AGT, we are using knowledge of a subgroup of humans who are immune to HIV. The genetic data from these individuals with innate immunity gave us the mechanism to provide a functional cure for HIV. In the case of PKU, knowledge of the genetic defect provided the starting point to build a cure. Large-scale genetic testing is accelerating much of this work. Methods used to solve diseases prior to CAR-T will soon seem antiquated. We are moving into the age of human software. Scientists can now read the human “ones and zeros” (DNA) and will soon be able to provide that code with updates. To solve diseases rapidly, it is critical to develop gene delivery elements and tools that are flexible, safe, and robust, and can be changed slightly, or combined together in creative ways, to accommodate new diseases. Companies like AGT are taking on this challenge by focusing on the delivery platform as well as the disease. AGT has spent ten years developing and refining lentiviral vectors and fundamental technologies and tools which can reliably deliver genes to a variety of cells. Soon, AGT is expected to enter its first clinical trial with a functional cure for HIV. Two more trials are planned to follow on the same lentiviral platform. After a few successes in the clinic, AGT will be able to develop a broader pipeline of cures in parallel. AGT and companies like it are standing on a tipping point. We are incredibly close to the next revolution in medicine that will unlock incredible opportunities for healthcare and humankind. Gene therapy has already returned sight to patients with formerly untreatable blindness. In the years to come, gene and cell therapies will relieve a tremendous amount of human suffering, improving quality of life for millions, and providing treatments and cures for many formerly intractable and deadly diseases.